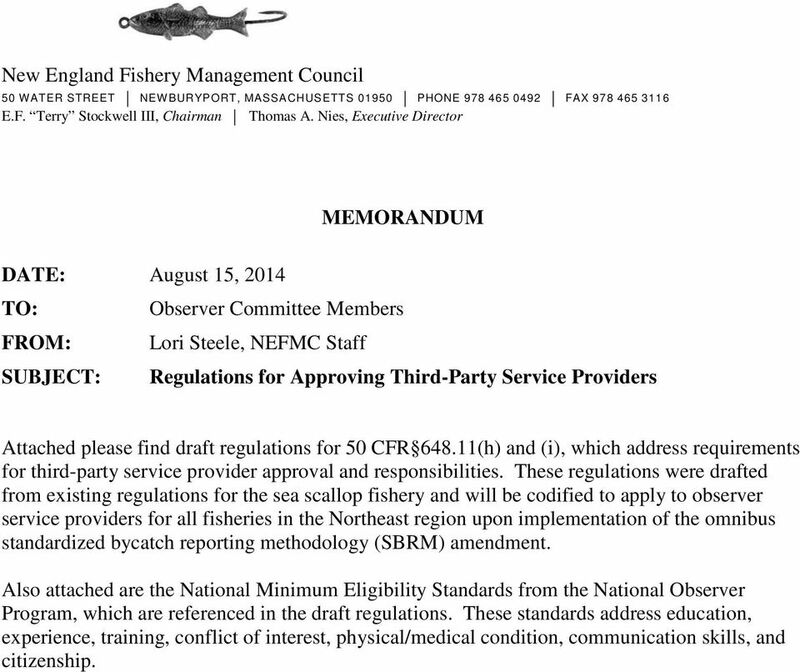 Download "New England Fishery Management Council MEMORANDUM"
1 New England Fishery Management Council 50 WATER STREET NEWBURYPORT, MASSACHUSETTS PHONE FAX E.F. Terry Stockwell III, Chairman Thomas A. Nies, Executive Director MEMORANDUM DATE: August 15, 2014 TO: Observer Committee Members FROM: Lori Steele, NEFMC Staff SUBJECT: Regulations for Approving Third-Party Service Providers Attached please find draft regulations for 50 CFR (h) and (i), which address requirements for third-party service provider approval and responsibilities. 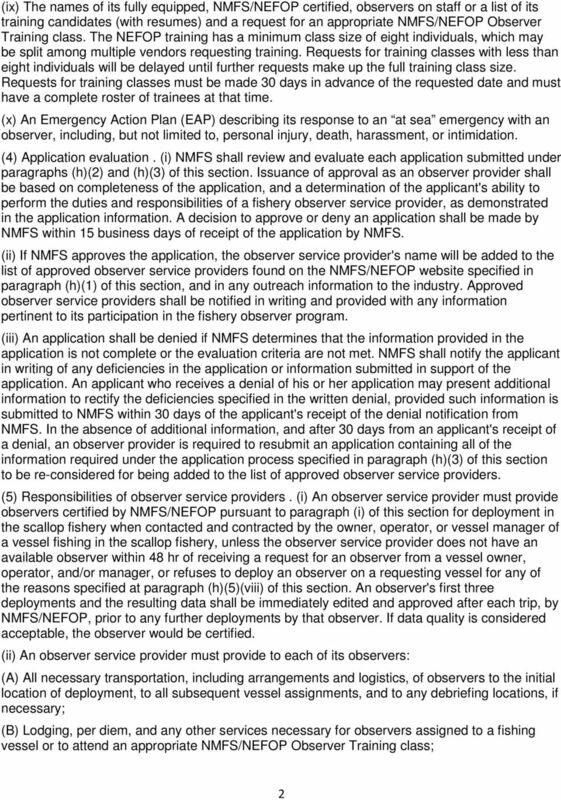 These regulations were drafted from existing regulations for the sea scallop fishery and will be codified to apply to observer service providers for all fisheries in the Northeast region upon implementation of the omnibus standardized bycatch reporting methodology (SBRM) amendment. 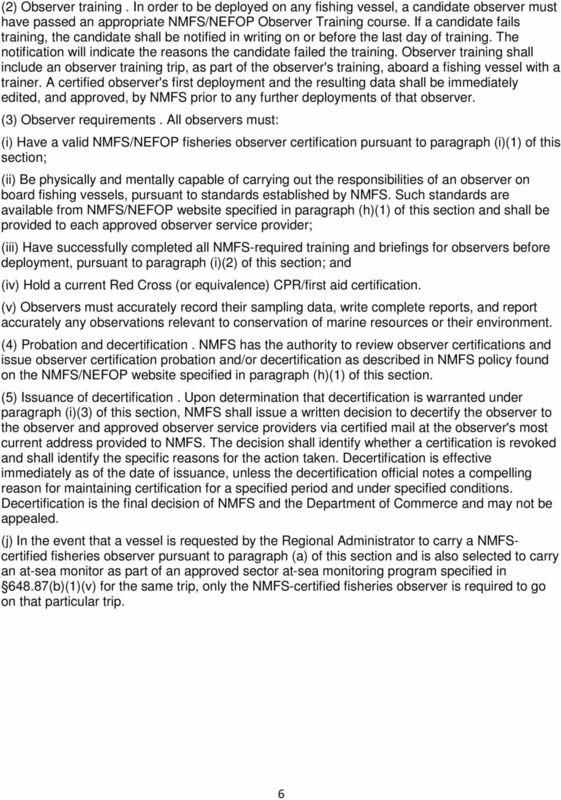 Also attached are the National Minimum Eligibility Standards from the National Observer Program, which are referenced in the draft regulations. These standards address education, experience, training, conflict of interest, physical/medical condition, communication skills, and citizenship. 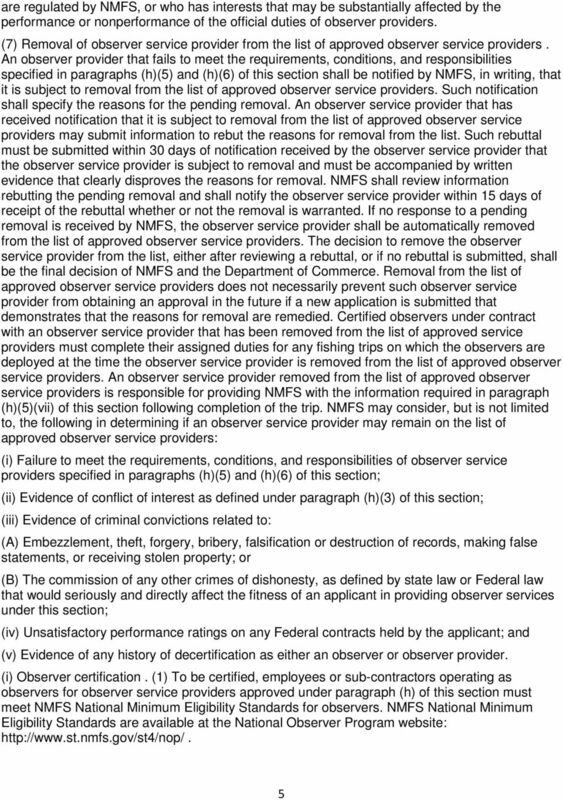 Note: Authority cited: Sections 100502 and 100504, Government Code. 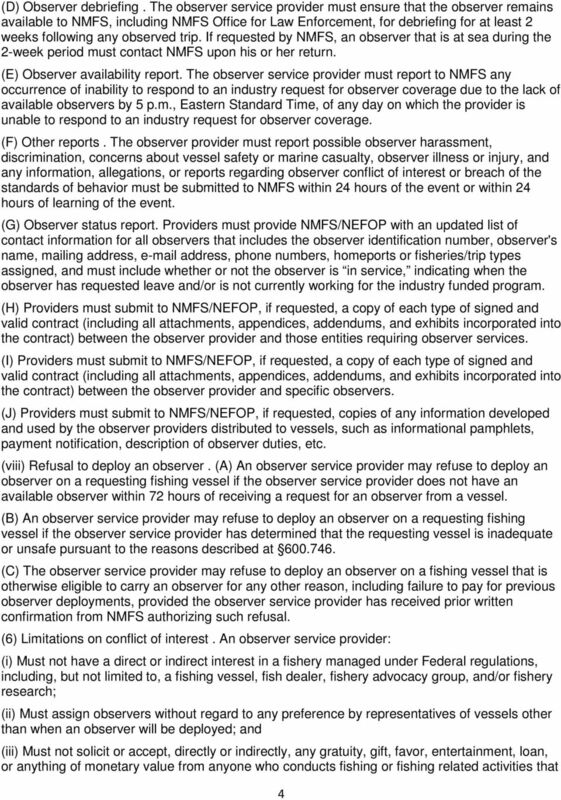 Reference: Sections 100502 and 100503, Government Code; and 45 C.F.R. 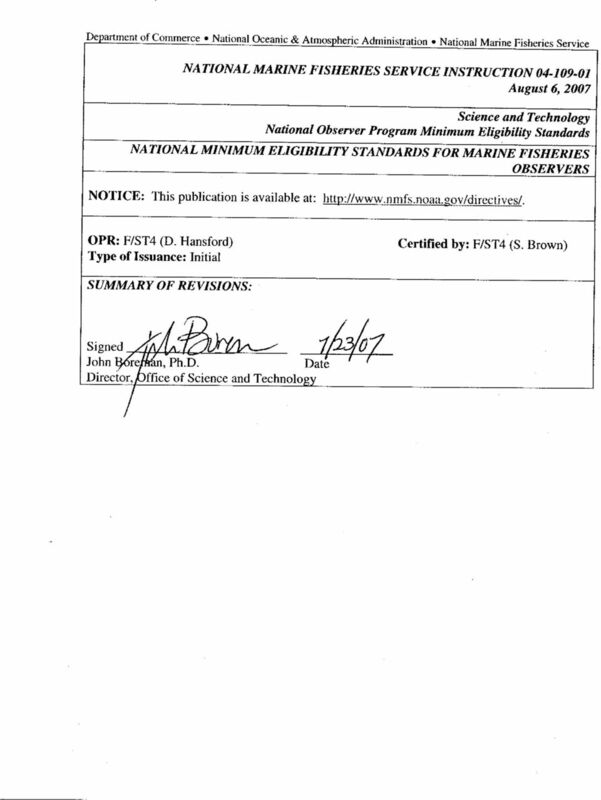 155.225. 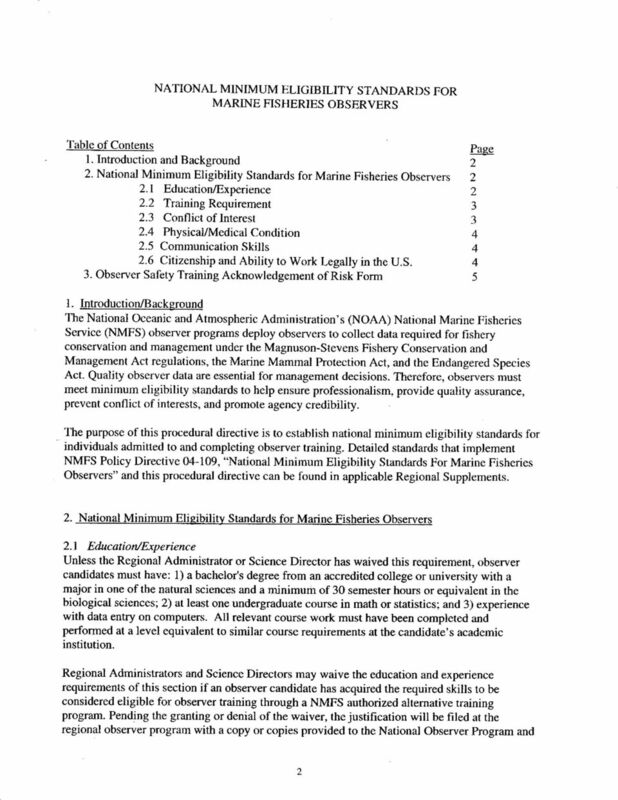 PART 252 SERVICE-DISABLED VETERAN-OWNED-BUSINESS ENTERPRISE PROGRAM Sec. 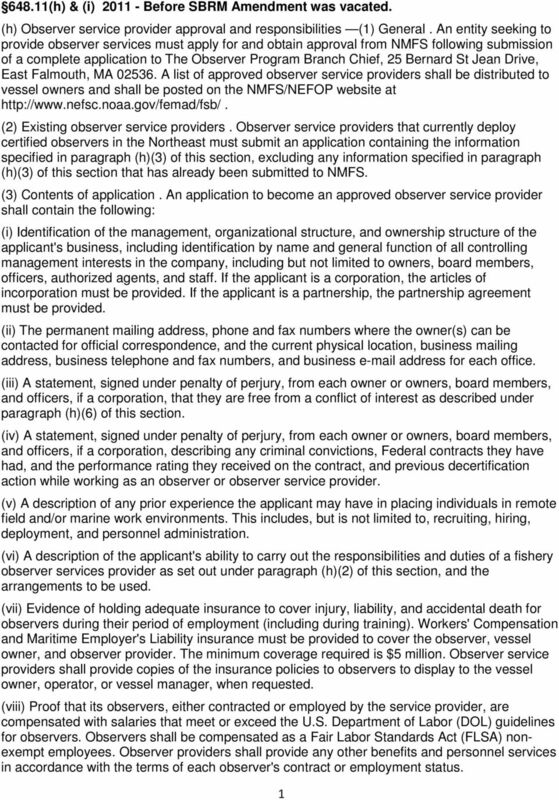 (Statutory authority: Executive Law, 200, 369-i) 252.1 Definitions. 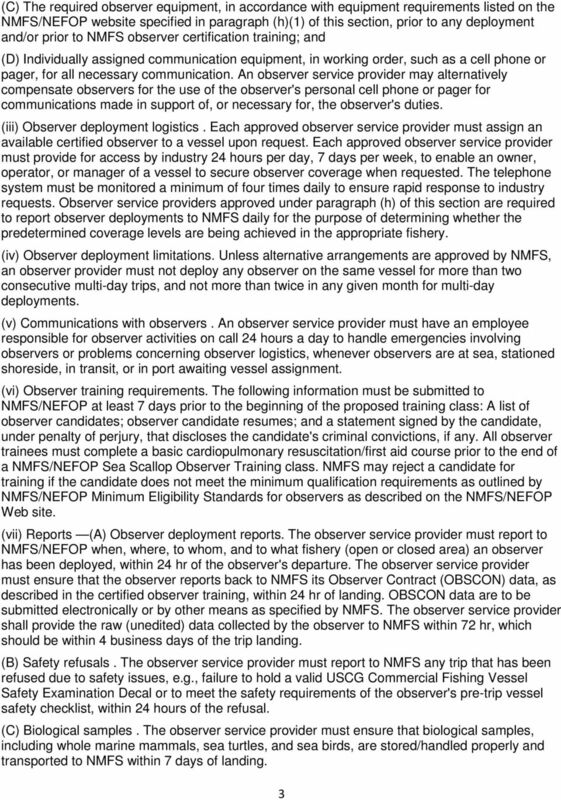 252.2 State agency responsibilities: purpose, scope and applicability. 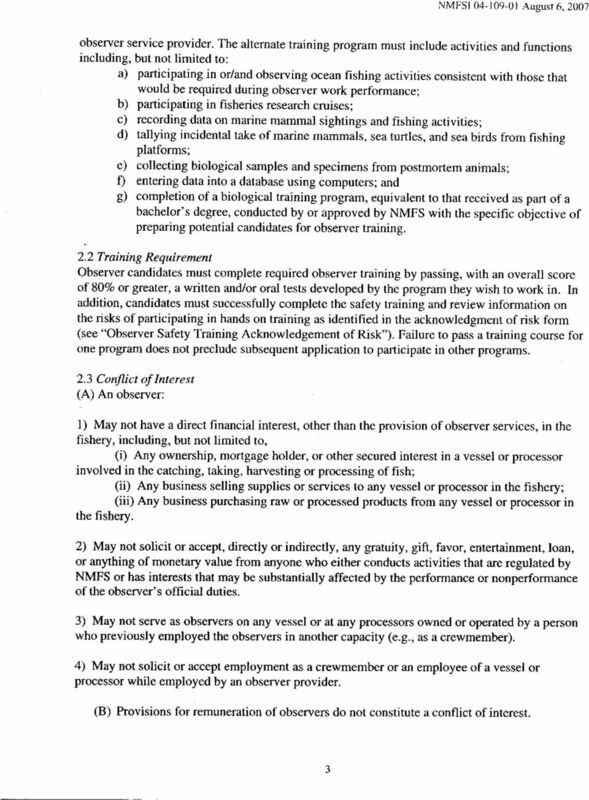 STATE OF CONNECTICUT OFFICE OF THE STATE COMPTROLLER DEPENDENT CARE ASSISTANCE PLAN SUMMARY PLAN DESCRIPTION TABLE OF CONTENTS I ELIGIBILITY 1. 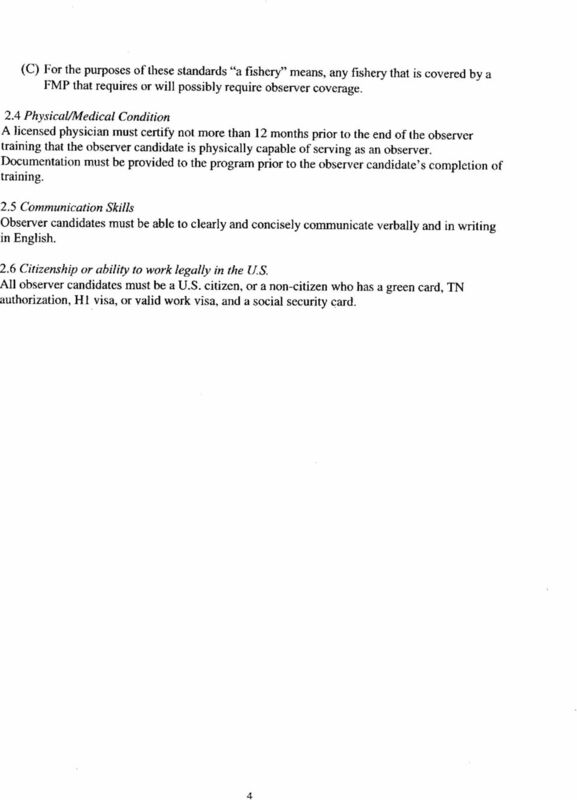 What are the eligibility requirements for our Plan?...1 2. LIFE INSURANCE BENEFITS FOR U.S. EMPLOYEES AND RETIREES. And. 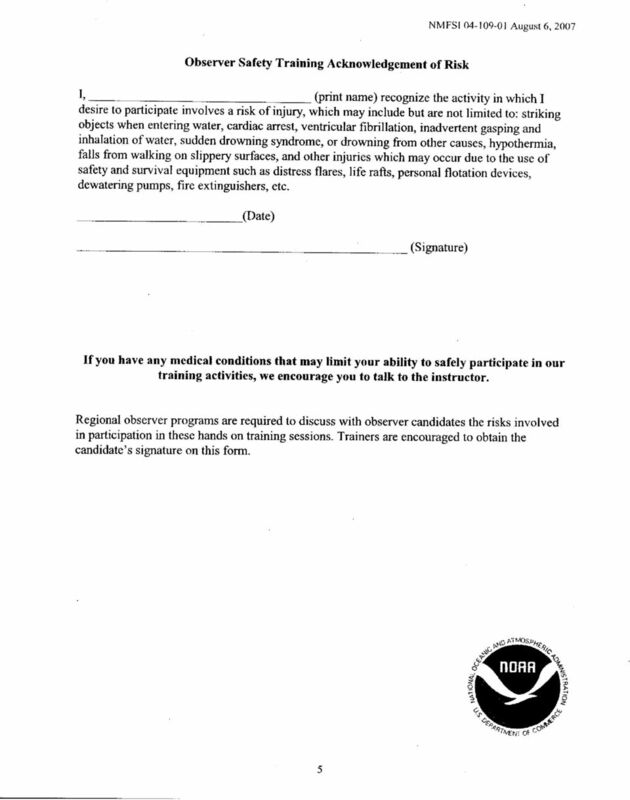 ACCIDENTAL DEATH and DISMEMBERMENT INSURANCE BENEFITS FOR U.S. EMPLOYEES. Population Health Management Program Notice of Privacy Practices from Piedmont WellStar HealthPlans, Inc.
LIFE INSURANCE BENEFITS FOR U.S. EMPLOYEES AND RETIREES. And ACCIDENTAL DEATH AND DISMEMBERMENT INSURANCE BENEFITS FOR U.S. EMPLOYEES.